If you are designing a runway, then you should get familiar with ACN and PCN.  The aircraft classification number (ACN) is a number expressing the relative effect of an aircraft on the runway pavement for a specified standard subgrade category. 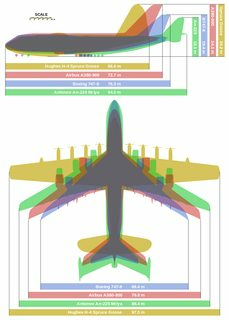 * There can be the largest aircraft out there, but it may have a lot of tires, so the force it will exert [per tire] on the pavement might be lower than that of a smaller plane (e.g., A380 and MD-11). 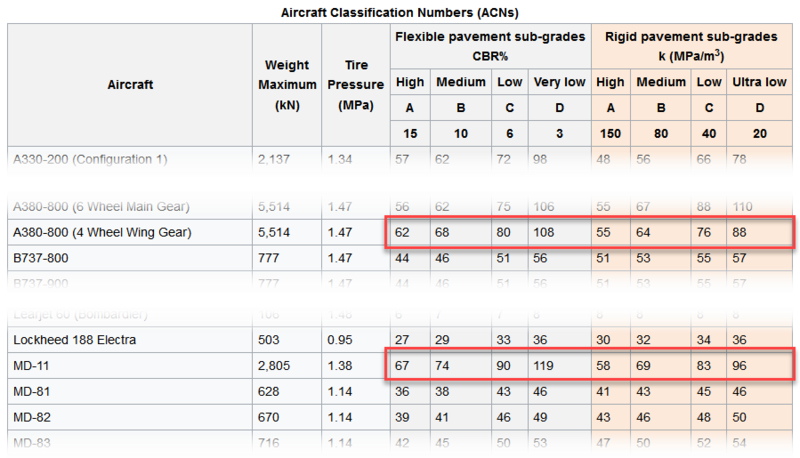 From the linked Wikipedia article, the MD-11 stands out as the harshest on pavements (after discounting non-freighter aircraft). In most cases, aircraft are loaded according to the available length, not the other way around. Not all airports that handle 747s have 11,000-foot [corrected length] runways. For the wingspan (or main gear span), the categories are defined by ICAO Aerodrome Reference Code. Element 2 of the Code is derived from the most restrictive of either the aircraft wingspan or the aircraft outer main gear wheel span. 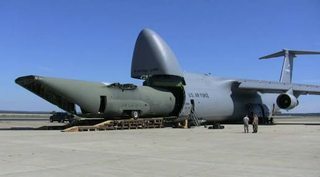 The C5 Galaxy is a large pure cargo plane, with the nose able to swing wide open. 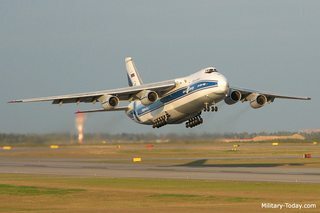 The Ukranians make larger cargo planes than the C-5, nicknamed the vodka burners here in Australia. 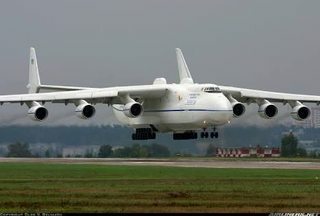 Slighty larger than the C-5 is the Antonov AN124. And the largest of them all, the B747 freighter and the Antonov AN225. 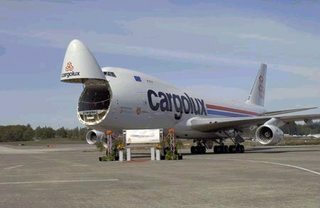 The pure cargo planes have swing noses which allows for sticking big chunks of cargo straight in. We had a look at air freighting a simulator some time ago, and a regular freighter 747 could not do it, too bulky for the side loading set-up. Only the swing nose guys could manage, requiring airport facilities that could handle oversize freight. Not the answer you're looking for? Browse other questions tagged runways airport-design cargo or ask your own question. How can a Boeing 747 take off from Princess Juliana 7,546 ft runway? Is there something like a table of aircraft required runway lengths? What is the rule of thumb for land/taking-off on a sloped runway? What is the typical aircrew for a cargo flight? What is the loading diagram for a C-130J?